On August 27, 2013, Japan Tourism Agency announced the summery of budgetary request for 2014. Based on the “Action Program for Achieving a Tourism-Oriented Country” approved by a cabinet meeting for Promoting a Tourism-Oriented Country on June 11, 2013 and the “Japan Revitalization Strategy –JAPAN is BACK-“approved by a cabinet meeting on June 14, 2013, the budget puts weight on the projects’ necessary for achieving a tourism-oriented country by “building a great country to live in and to visit”, its request amounted to 11,441 million yen with 19% increase compared to this year’s budget. 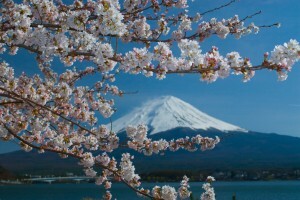 Specifically, “promotion of inbound tourism policy for expanding the number of the foreign visitors” (9,598 million yen with 17% increase), “support for development of tourism-oriented regions” (1,051million yen with 93% increase) and “promotion for travels” (65 million yen with 35% decrease) as three major focuses, inbound tourism and development of tourism-oriented regions will be especially strengthened. Also, “promotion of strategic plan for expanding foreign visitors” (2,006million yen) and “total support for creating tourist site business” (600million yen) plans are newly established. In “promotion of strategic plan for expanding foreign visitors”, intensified promotion will take place in Southeast Asia in order to make this area as strong market as East Asia. Moreover, programs in prospect markets which can be expected to grow substantially will be strengthened. “Total support for creating tourist site business” aims to create self-sustaining local revitalization efforts and supports tourist sites to become successful businesses. The program will maneuver self-sustaining business management by developing marketable travel merchandises desterilizing local resources and cultivating human resources. In addition, budget for a new inbound related program “promotion program for accommodation information service” (12 million yen) is allocated. Additionally, travel promotion programs “examine and conduct research on travel safety measures” (25 million yen with 1% increase) and “promotion of universal tourism” (40 million yen with 3% increase) will be provided with more budget. Furthermore, “reconstruction measures for Tohoku area tourism” and “reconstruction project for tourism in Fukushima” will be allocated 895 million yen with 55% increase together, as a part of reconstruction related budget which totals 12,336 million yen with 21% increase.